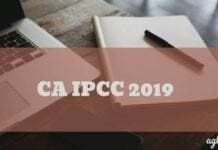 The ICAI (Institute of Chartered Accountants of India) has announced the dates for the CA Final Examination on its official website at icai.org. 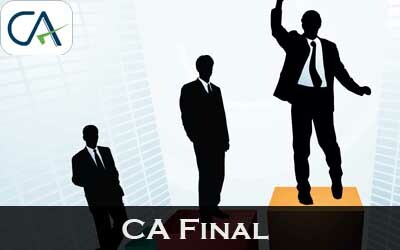 Aspirants who are preparing for the CA Final for group I and group II examination can apply on icaiexam.icai.org. Students willing to fill CA Final November Application Form 2018 should check the application process, fee details, and more information from the article below. Application Process was over. The CA Final Application Form 2018 was available online and the candidates cannot submit it via any other medium. It should be noted that only those candidates will be allowed to fill application form of CA Final November exam, who has registered with the Board of Studies (BoS). The last date to register with the board with late fee was September 04, 2018. Note: Candidates who are applying for the CA Finals examination must note that they have to register themselves before applying for the examination. The registration for the examination is different from that of previous registration for ICAI. Correction window for CA Final Application Form 2018 (November) was available as per the schedule provided below. Correction Window-2 to be announced! 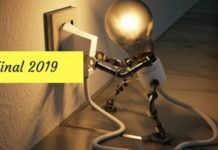 How to Apply for CA Final examination November 2018? The procedure to submit the application form of CA Final 2018 can be divided into two parts. First, the candidates with have to register and then they were able to fill and submit the application form. Both the parts are explained below. Candidates first have to register for the examination and only after this process they can able to apply for the CA Final examination. Candidates can able to register from August 06, 2018 at ICAI official website at http://icaiexam.icai.org. Entrants must go through the simple steps of registration that are given below. Click on “register now” or “login” given on the website. Enter basic details in the registration form in the provided spaces. 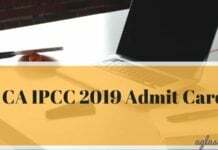 Details that should be filled are selection of examination, registration number ( you have to select a prefix for your registration number), valid email ID, Date of Birth, mobile number and landline number. After filling all the details that are mentioned above, candidate have to confirm the details that he or she has entered. Click on the confirmation box and click on the register box to submit the details. Note- If the details filled by the candidate do not match with the previously provided information then the candidate will be directed to the “provisional candidates” page. Here in this page candidate has to enter the required details for verification. On completion of Step 1, candidate will receive a registration number and a password via email or sms. Candidate should note down the registration details. Candidate have to click on “complete your profile” tab given on the window’s screen to complete your profile registration. Here in this step candidate must provide the address. After filling up the details candidate should “validate the details” to confirm or edit the details. After confirming save it by clicking on the “save details” button. After saving the details in above step a window will appear with the confirmation page that your registration details are saved. Login details such as registration number and password will appear in the same page. Read the important instructions given below in the webpage. After that click on “Go to Dashboard”. In this step candidate will be directed to the dashboard page in which photograph and signature of the candidate shall be displayed that was uploaded in previous registration. Along with this details will be mentioned that has to be verified by the candidate such as email ID, phone number etc. After verifying the details click on the right-hand side of the dashboard to apply for the examination. 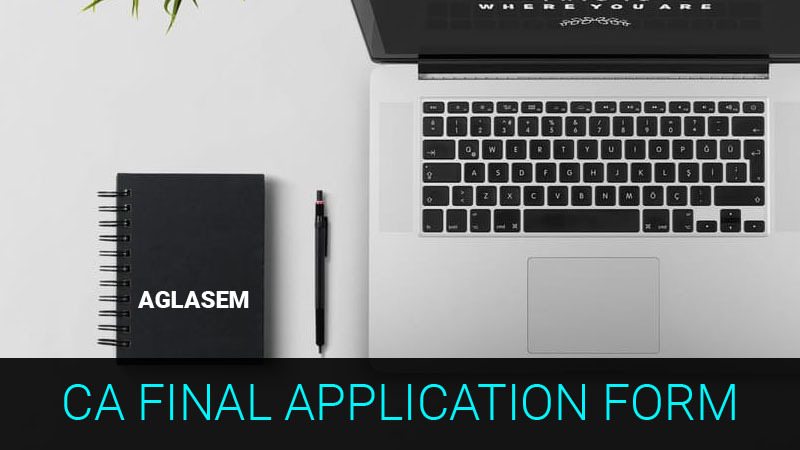 Click on the right hand side of the dashboard and click on “Apply now” to apply for the examination. Fill up all the necessary details that have been asked in the form. After that click on save and preview to save and proceed to the next step. After the completion of step 1 and step 2 candidates will be directed to the declaration page. Read all the details that are mentioned in the declaration and click on “I Agree” and then click on Final submit and submit your application form. After the successful submission of the application form, candidate must make payment online to complete the process. Send the pdf to ICAI by post. Note– The late fee for submission of exam application form after the scheduled last date would be ` 600/- (for Indian / Kathmandu Centres) and US $ 10 (for Abroad Centres) as decided by the Council.